Good Enough Live Karaoke is thrilled to be playing three sets at the Monster Energy Tent at the Boots & Hearts Festival at Burl's Creek Friday August 10, Saturday August 11 and Sunday August 12. Set times are 11am-2pm making it our first ever-lunchtime live band karaoke event. The band just wrapped two epic weekends. This past Saturday we backed up a group of incredible pre-selected singers to kick of the Canadian National Air Guitar Championships at the Mod Club in Toronto, before heading to the Scadding Court Community Centre to play Fringe Toronto's 25th anniversary prom party. As for Mariposa 2018, it was amazing. Beautiful weather, astonishing venue and incredible talent of all ages joining the band for Saturday + Sunday afternoon sets on the FolkPlay Stage and Saturday night in the Mariposa Pub. SUMMER IS HERE AND THAT MEANS MORE KARAOKE MADNESS! This past weekend the year tipped over the halfway mark at 183 days and remarkably Good Enough Live Karaoke logged its 110th show of 2018! It's been an epic year and there's no stopping the band from spreading the live band karaoke love far and wide. This weekend Good Enough will be at the storied Mariposa Festival playing Saturday and Sunday afternoon sets on the Folkplay family stage as well as a pub set Saturday night. But before that they'll be popping by the Rec Room Roundhouse Thursday and stopping into Queen's Bar in Port Elgin on Friday night. The following weekend the band is going to be at two epic events in Toronto. 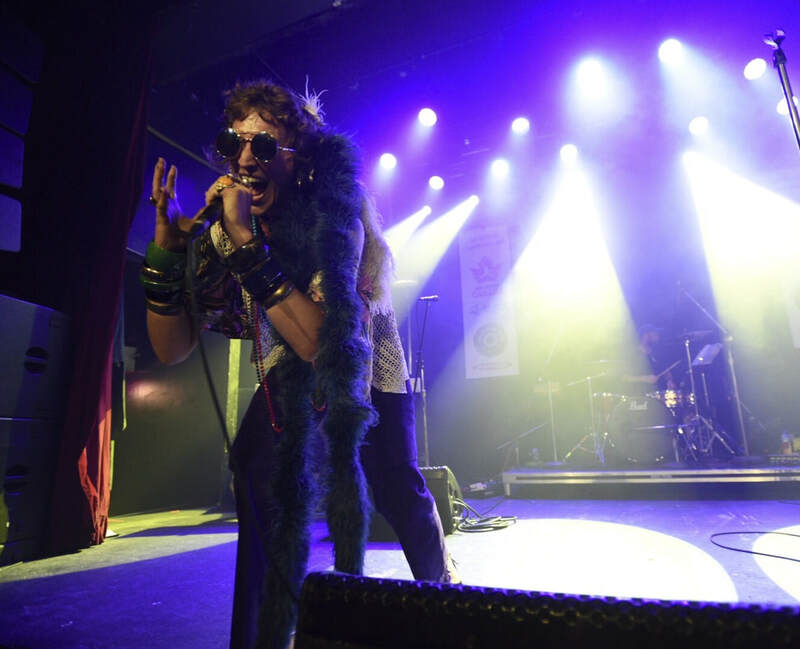 At 8pm they'll be opening the Air Guitar Canada National Championship at the Mod Club before heading to Scadding Court to play the Fringe Festival's FREE Postscript 80s Prom Party. 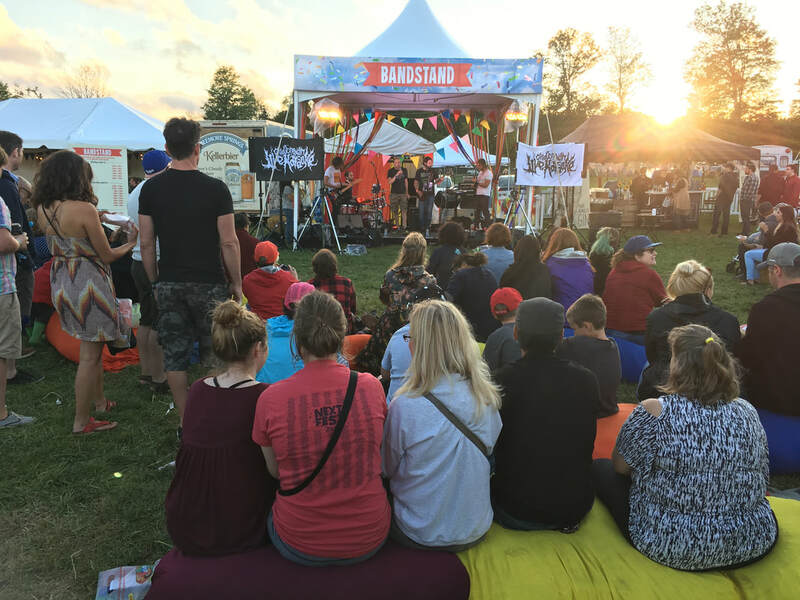 And keeping with summer and outdoor fun, Good Enough Live Karaoke is thrilled to be playing Nuit Blanche North in Huntsville on Saturday July 28. Plus there will be another amazing festival announcement in the coming days!!! Good Enough was also super amped to be invited to play the #anythinggoes media launch of Old Navy's super fun summer collection at the Island Yacht Club the night before the solstice. HEY IT'S MARCH AND WE HAVE NEWS! Tonight marks our 42nd show of 2018! And since 42 is the answer to the ultimate question of life, the universe and everything, by default that means Good Enough Live Karaoke is the answer to all your questions! All you have to do is show up, pick a song, join the band on stage and give 'er! Plus our bass player Michael Small (who may or may note be related to Derek Smalls) made this cool promo video he likes to call GELKER-things! We are also super excited to have been invited to play the legendary Mariposa Folk Festival in Orillia on July 7 + 8. You'll find the band in the family-friendly Folkplay area. And we couldn't be more excited! We'll be sharing the stage with some other stellar talent - puppets! And if you know our intrepid band leader Tim McCready, you know this is very, very happy news! And not to be competitive about it, but we noticed that unlike Spinal Tap, we were billed above the puppets. HELLO 2018! THIS YEAR IS ALREADY EPIC! Last year was absolutely awesome with the band playing 178 shows and clocking in almost 600 hours on stage making people happy! A lot of people! If you do the math - and we have - that means Good Enough played for 36,000 minutes, and say we consider the average song 4 minutes, we're looking at about... 9000 songs! And since people don't always sing solo - and sometimes come up in large groups - that could mean over 10,000 people sang on stage with us! As August careens to a finale, the band is just gearing up for the fall, which is promising to be packed with incredible events. There's another week-long residency at Mongrel House for TIFF, a return visit to camp for the Two Islands Weekend and on Friday September 15, Good Enough Live Karaoke heads to the 'hammer to play Mill's Hardware. You can get advance tickets here. The band is also thrilled to be playing the amazing new Rec Room Roundhouse entertainment complex at the base of the CN Tower every second Thursday throughout the fall! Upcoming dates include August 21, September 7 and September 21. We also had an epic time at Big Feastival this past weekend as well as the East End Beer Fest at the Broadview Hotel. Meanwhile, the requests for private events are coming in at a fast and furious pace so if you'd like some Good Enough Live Karaoke at your holiday party, let us know soon so we can make it happen! This past week has been filled with awesome, memorable gigs. The Fleetwood Mac Rumours tribute at the Rivoli was lit! There was Motown and it was spectacular, a 4-year-old girl joined the band on stage at Victoria Park in London, ON to sing The Gambler at the Home County Music and Art Festival...And here are some highlights of Saturday night's gig at Harbourfront (shot by the amazingly talented Rhett Morita) and featuring special guest karaoke singers TUNS and Michelle Treacy! And because you can never have enough Good Enough, the band is thrilled to be helping break in two brand spanking new local venues. They'll be playing Saturday July 22 at Toronto's latest game emporium, The Rec Room Roundhouse at the base of the CN Tower. Then on Friday August 25, Good Enough finally sets down some long-awaited east end roots at the spectacular new Broadview Hotel. The band was amped to just celebrate Eloise's Graduation with her friends and family. It was awesome to get the smaller kids on stage to sing Taylor Swift's Shake It Off and even join in on Steppenwolf's Born to be Wild! Plus the super fam-jam on Sweet Caroline was epic! In addition to playing Big Feastival on August 18, we'll be announcing some more family-friendly public events very soon! IT'S BEEN CRAZY BUSY AND WE COULDN'T BE HAPPIER! Just announced Good Enough Live Karaoke will play the Harbourfront Shield to Shore Festival After Party on Saturday July 15 in the Brigantine Room from 10:30pm-2:30am following performances by TUNS featuring Chris Murphy and Lisa LeBlanc. The guys will also be returning to Heartwood Concert Hall in Owen Sound as well as appearing monthly at Queen's Bar in Port Elgin. Plus road trips will take them to the Bull & Barrel in London, back to Dougie's in Guelph and all the way to Montebello, Quebec for a corporate retreat. Add to that a few weddings and the summer is full of making people happy by making music! If you're thinking of a private or corporate event in the near future, please get in touch. We've already booked two weeks in September and would love to play for you too! SUMMER FESTIVAL SEASON MEANS MORE GOOD ENOUGH LIVE KARAOKE!! The band is extremely excited to have been invited to play at the inaugural Canadian edition of Big Feastival at Burl's Creek from August 18-20. Good Enough Live Karaoke will be on the bandstand on Saturday afternoon at this family food and music event. Big Feastival was started by culinary star Jamie Oliver in the UK six years ago. The guys are especially excited by the opportunity to have younger singers show their stuff on stage! GOOD ENOUGH LIVE KARAOKE IS NOW! This week our intrepid band master Tim McCready was interviewed by Now Weekly's Carla Gillis about the band and taking the mic to sing karaoke. You can read the interview here! Last week for the first time ever, Good Enough Live Karaoke split into two line ups to ensure people could get on stage and sing at Doogie's in Guelph as well as at The Garrison for a special Bowieaoke tribute marking the death of David Bowie. The band is super excited about some upcoming gigs which include a PhD graduation, a wedding, a retirement party and a corporate event proving Good Enough Live Karaoke is one of the few musical experiences with no age barriers. And in the next few days we'll be announcing some AWESOME news about a special summer event. Amazingly a few mere months ago Ruhee Dewji was a guest at a corporate holiday event and struck up a conversation with Tim about her music! Now she's been added to the band roster playing sax - and as of the recent Bowieaoke tribute - keys too! We're so excited for her energy and musical contributions! We're also excited to have a new band logo designed by Viv Kosy. Mark Anthony Wine & Spirits slamming! Huge props to the amazing regional teams from Mark Anthony Wine & Spirits who gathered at Gladstone Ballroom, on the last night of February, with costumes and choreography for one of the greatest nights in GELK memory. Monumental moments included performances by Cher, Stevie Nicks, Kid Rock and Gord Downie lookalikes plus completely outrageous interpretations of Like a Surgeon, Cadillac Ranch and a mildly disturbing rendition of Pony. Thanks for the enthusiasm and awesome images! On a snowy night in February, the band made their way to the Heartwood Concert Hall in Owen Sound to rage for five hours. This was their third visit and the show was sold out before they hit the stage! Thank you for the love and watch the site for deets on a return engagement. They followed up with a private event at the Sarnia Golf and Curling Club on Saturday night proving they don't only want to rock Toronto audiences but ensure that people across Ontario get to sing their faces off with a live band. As 2016 careens to a close, it's a great time to reflect on an amazing year of music and making people happy. The band recently celebrated its 3rd anniversary and Tim added up the gigs. It may seem bonkers, but #GoodEnoughLiveKaraoke will have played a total of 80 shows this year! And given the band is known for epic sets that often clock in at 4 hours or more, that adds up to a potentially record-breaking 300 hours of letting you take the mic and sing your faces off. THANK YOU to everyone who has supported Good Enough Live Karaoke and we look forward to rocking your world in 2017! The band is super amped to be playing a slew of upcoming corporate holiday gigs. And coming up on December 3rd is Good Enough Live Karaoke's 3rd anniversary at the Junction City Music Hall. The venue is the band's most popular monthly event and is sure to sell out. So get there early to secure your chance to sing with Toronto's best live karaoke band! Never been on stage with the Good Enough? Don't worry, the guys will make sure you're well taken care of. Lyrics are provided on an iPad and they'll help with timing and back up. Here's some recent inspiration for you. And the band's facebook page has a slew of amazing performances. Good Enough Live Karaoke makes @INDIE88TORONTO's top ten of awesome!! Want to have the best birthday bash ever? Easy peasy, just get Good Enough Live Karaoke to play your party. Amaze your friends with your ability to command the stage. Of course you could try one of the other awesome recommendations from INDIE88 but we're biased and think their number 3 pick is absolutely the most fun. Good Enough Live Karaoke was thrilled to be the house band at Mongrel Media's TIFF Funhouse at Campbell House Museum. Thanks to all the incredible singers who took the mic and gave it their all including the iconic Oscar-nominated director Atom Egoyan and the elegant and astonishing Mary Margaret O'Hara who tore things up with Whole Lotta Love! After the exhausting and amazing residency, which with a few other gigs thrown in including campfire jams at Two Islands Adult Summer Camp, Good Enough Live Karaoke clocked in an astonishing 40-hours on stage in just over a week! Next up the guys will take naps before rehearsing to celebrate the 25th anniversary of Pearl Jam's Ten and Nirvana's Nevermind at a show at The Rivoli on Friday October 7. For that special event they'll be doing the singing, but then it's back to letting you take the mic. Next weekend, Good Enough Live Karaoke is heading to Collingwood to celebrate love, then in early October playing Kevin and Sylvie's upcoming wedding. And though it's barely the end of September, we're currently booking our holiday shows. We'd love to play your event so let's make that happen!